(In a singsong voice) A tisket, a tasket, a plushy picnic basket! I may be listening to my daughter's music in the car too often...sorry, I couldn't help myself! Yet again, this pattern features Bernat Blanket yarn. I just can't get enough of these brights, and I am really hoping that they will be more widely available soon! Until that time-they are available a few places online including Craftsy (international shipping available), Joann Fabrics and Amazon. 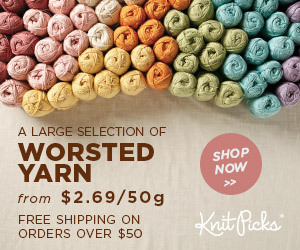 You can also buy them directly from Yarnspirations. Have you seen the solid colors of Bernat Blanket Brights in store near you? If so, I'd love to know where! Bobble stitch (bobble): YO, insert hook and pull yarn through st from previous row, YO, pull through 2 loops on the hook, YO, insert hook into same stitch and pull through, YO, pull through 2, YO, insert hook into same stitch and pull through, YO, Pull through 2, YO, Pull through the 4 remaining loops on the hook. Ch sts at the beginning of rows or rounds do not count as a stitch. When working in rounds, the last st of a round is attached to the first st of the same round with a sl st. Gauge is not important for the finished product, however, tight stitches help the yarn hold its shape better. If you are having trouble getting your stitches tight enough, use a smaller crochet hook. Round 9-15: Ch 1, SC around (50) Tie off. With a sl st (on the inside of the basket) attach one end of the handle in sts 12-14 of round 15. Cut and tie off yarn. Attach the other end of the handle in sts 37-39. Do not tie off. Continue to crab stitch (RSC) around the rim of the basket and handle. Attach to the first RSC with sl st. Tie off yarn. Attach with sl st to the other side of the handle and RSC around. Attach to the first RSC of the round. Tie off and weave in ends. Place this circle in the rind portion of the watermelon and, working through BLO of the white and both loops of the green rind, sl st around to attach them. Tie off and weave in ends. Leaf: Attach the color Go Go Green to the top of the bunch 1 with sl st. Ch 6. Working in the second ch from the hook: sl st, SC, DC, DC, SC. Now working along the back side of the chain: Ch 1, SC, DC, DC,SC, sl st. This will bring you back to the point of the leaf. Tie off yarn and weave in ends. Vine: Attach the color Go Go Green in the same stitch as the leaf. Ch 8. Start in the second ch from the hook. Work 3 SC into each ch stitch to create a spiral. When you reach the beginning of the ch, tie off and weave in ends. Round 15: Ch 1, 2 SC in each st around (6). Tie off. To make the bottom rim of the bottle, attach ‘White’ with a slip stitch to the front loop of round 2. Sl st around. Tie off and weave in ends. This is a basic c2c blanket, alternating colors each row. You may sell items made from this pattern, but please credit me as the original designer. Also, please do not share the written pattern in print or electronically. The photos on this webpage belong to Megan Meyer of Left in Knots and may not be used for product sales/product listings. You may share a link back to my blog if you would like someone else to see or work with this pattern. Thank you for your cooperation and if you have any questions please feel free to contact me!